Manchester United overcame Leicester City 2-1 in the opening game of the 2018-19 Premier League campaign at Old Trafford on Saturday. The hosts went 1-0 up inside 72 seconds itself, when they were awarded a penalty. Alexis Sanchez was responsible for getting United with the chance after earning a hand ball with his shot. While United were handed the spot-kick, there was a discussion between Sanchez and skipper Paul Pogba as to who will take the same. 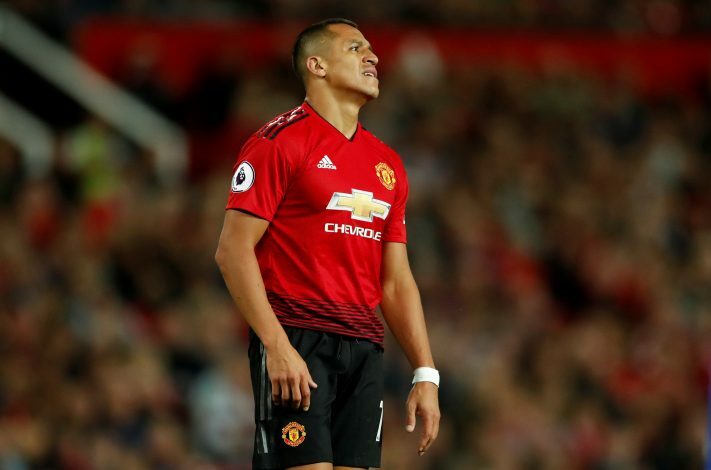 Sanchez tried to convince the Frechman to give him the penalty-taking duties. But Pogba relented and took the shot himself before burying it in the top-right corner, above Leicester keeper Kasper Schmeichel. The scoreline read 1-0 for 83 minutes, until Luke Shaw slotted home to double the home side’s lead. Jamie Vardy got in an injury-time goal, but United held on to take all three points. But the moment between Sanchez and Pogba in the early stages of the game caught the attention of several fans and pundits alike. Pogba will feel ecstatic after getting off the mark in the opener. After all that was speculated between the midfielder and his manager about all the rift and the former wanting to leave the club, this was a good start to the new season for the France international.